Chief Justice of India H.L. Dattu has categorically refused to participate in the National Judicial Appointments Commission through a letter addressed to PM Modi. 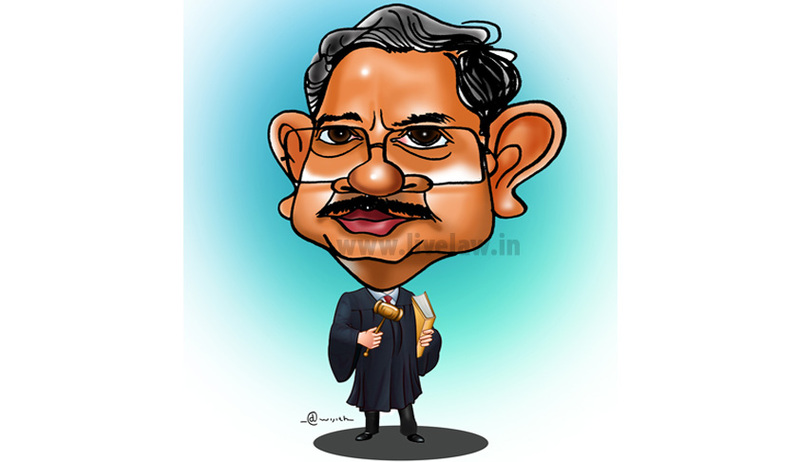 "In response to the call from your office to attend the meeting to select two eminent persons, I have to say that it is neither appropriate nor desirable to attend the meeting or be part of the NHAC till the Supreme Court decides its validity," CJI Dattu wrote in his letter to the PM on April 25. The CJI's refusal brings to a sudden halt on the government's plans to constitute the NJAC before May 11 as promised by it to the Constitution Bench. Attorney General Mukul Rohatgi informed a Constitution Bench led by Justice J.S. Khehar of refusal of the Chief Justice, who is also the chairperson of NJAC today. It can be reasonably deduced that without the presence of CJI in the high-power committee, it will be an uphill task to select the “two eminent persons.” It is to be noted that the NJAC is six member appointment committee also comprising the Prime Minister and the Leader of the single largest party in the Lok Sabha. The NJAC is touted as an interim mechanism for considering the confirmation of existing additional high court judges whose tenures would end during the pendency of the Constitution Bench's hearing on NJAC law's constitutionality. The NJAC Act, notified on April 13, is meant to replace the Supreme Court Collegium system of judges appointing judges. It gives the political class and civil society an equal role in judicial appointments to the highest courts. After going to a 15 minutes recess, the bench told the government that they would continue to hear the petitions challenging NJAC on merits and would pass orders as and when required. The Centre has already assured the bench that it would not appoint new judges till apex court gives a final decision on the validity of NJAC. The five-judge Constitution Bench, comprising Justices J. Chelameswar, Madan B. Lokur, Kurian Joseph, Khehar and A.K. Goel, starting on April 27, will hear arguments on a day-to-day basis for 14 days before the court closes for summer vacations. The Centre termed CJI H L Dattu's decision to abstain as “Unconsitutional.” Venugopal and Parasaran said it was constitutionally impermissible for the CJI to decline participating in a process which was mandated by the Constitution. Harish Salve insinuated at the difficult task of pronouncing a judgment on the present matter by stating “"Granting stay of NJAC Act at this juncture is a wrong option which would send a wrong signal. There are two sensitivities involved in this matter. One is sensitivity of Parliament, which has enacted the NJAC Act and not the government. It has been ratified by 20 states. The new mechanism for appointment of judges at present is the reality. The other is the sensitivity of the judiciary. Whether the law enacted violates the basic structure of the Constitution and whether it impedes independence of judiciary is a matter of determination. The court has to balance these two sensitivities." On the contrary, Jethmalani while supporting CJI said it was perfectly valid on the CJI's part to decline participation in the new process for appointment of judges if he felt that the provisions of the constitutional amendment and the NJAC Act were repugnant to the basic structure of the Constitution. "He must have thought it was not proper for the head of the institution to participate in the process of NJAC at a time when the institution itself is examining the law's validity," FaliNariman asserted.